Today: A dressing that will push you to your limits, and make you beg for more. If you're in any danger of becoming complacent with your everyday salad, that ends now. 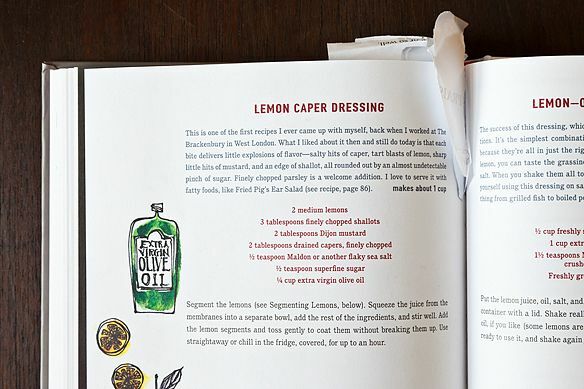 April Bloomfield gives us a dressing of unmatched gutsiness because, as she says, "I can't bear being bored." 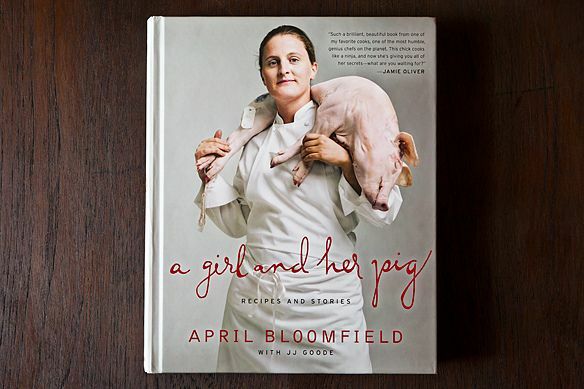 The co-owner and chef behind New York's gastropub super-trifecta The Spotted Pig, The Breslin, and The John Dory releases her first cookbook A Girl and Her Pig next Tuesday, and with it, her philosophy on all sorts of things. Things like salad and raisin bran, both of which come into play here. This recipe (one of the first Bloomfield remembers coming up with as a young cook in London) is a fitting snapshot of Bloomfield herself, a chef known as much for her quiet modesty and mindfulness as her $17 hamburgers and mounded chicken liver toasts. She serves the dressing with a fried pig's ear salad. At first glance, it's a shockingly brash dressing. 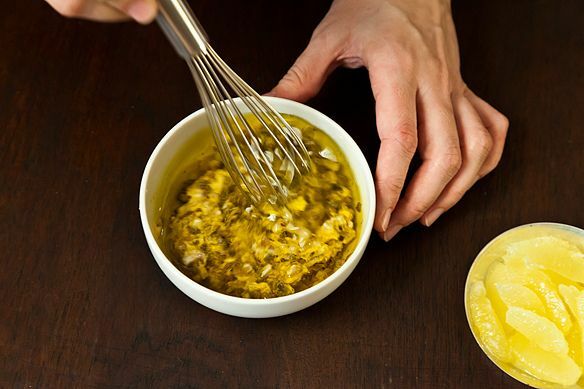 She uses not just lemon juice, but whole lemon segments, and more mustard than could possibly seem like a good idea. There's half as much Dijon as there is olive oil -- which makes it at least twice as strong most proper French mustard vinaigrettes. 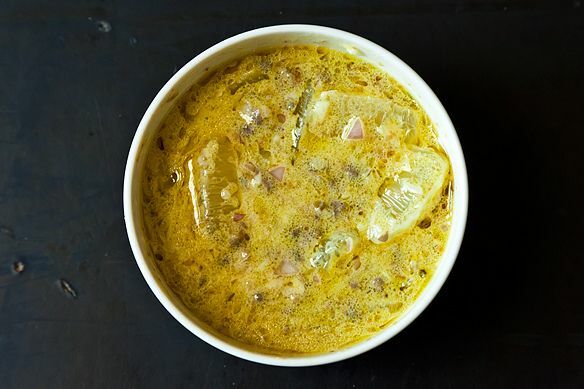 There's so much, in fact, that you don't even need to go out of your way to emulsify the dressing to make it substantial and creamy -- the mustard just swirls in and thickens effortlessly. As you eat it, the punchiness almost leaves you breathless. By the end, you're all but drunk off the racy, surging flavors. 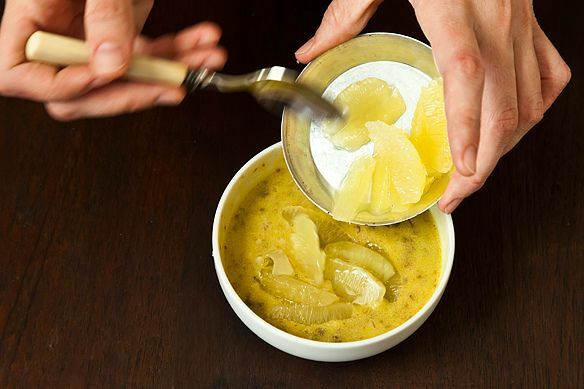 But at the same time, there are addictive little nips of caper and shallot to keep you going, and gentler undercurrents of lemon juice, salt, and sugar. How does she make it all make sense? Surprisingly, the answer is restraint. It's a theme she returns to throughout the book. And it's perhaps the only way that a chef so famed for daringly rich foods could hold our attention and awe as long as she has, and keep us always coming back for more. We've forgotten many a slider and cupcake, but we'll never forget her. 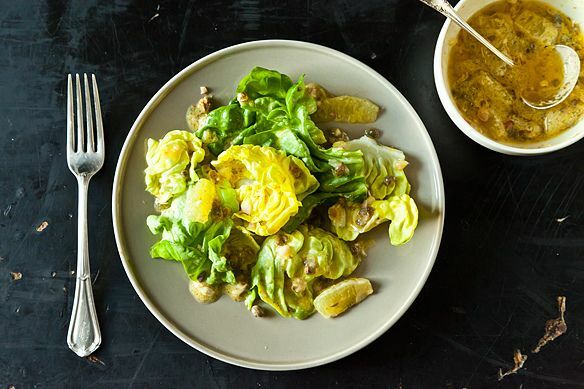 She considers this salad an homage to Fergus Henderson, who has said of his own signature bone marrow dish, "There should be just enough capers that you end up searching for them, like the raisins in raisin bran." In their minds, every sugar-coated raisin is that much more thrilling, knowing that it could be the last, and leave you with a soggy, lonesome puddle of bran. It's the same reason you must stop yourself from eating all the cookie dough, and why there's nothing but a path of regret after you've chased down all the best chunks from a pint of Ben & Jerry's. It's the simple law of diminishing returns. Grown-ups know better than to pack a whole avocado in their salad, lest they compromise the pleasure of finding a single slice in the bottom of the bowl. "It's the difference between giving people what they think they want and giving them what will be truly amazing," Bloomfield explains in the book. So her approach with this salad is manipulative, almost punishing. She pushes you just to your limits with all that mustard and stinging lemon, then brings you back from the brink with just enough juicy capers and shallots to keep you wanting. 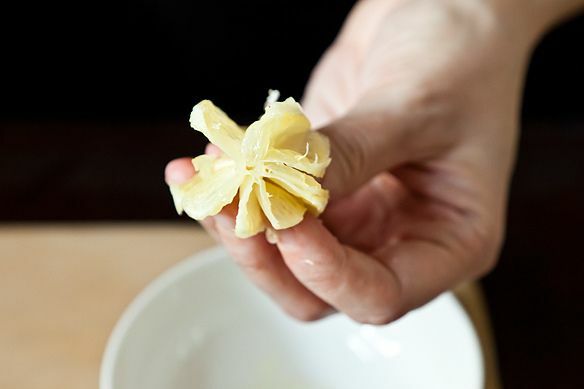 And by serving it with a deep-fried pig's ear, she says "The dressing, with its intense pops of tartness from the lemon segments, makes you want to eat more pig's ear, and its salty cartilage and fat makes you crave more dressing." Of course, you don't have to go with pig ears -- any fatty meats, even cheeses, or avocado (but not too much) would do the trick. Any way you serve it, she's playing you like a drug dealer pushing speed with sleeping pills. Except here, there's no shame in just saying yes. Saving LEMONS: I keep my lemons and Limes in Mason Jars, they keep until I eat and use them!!!! I have only once had them go bad, I have a lemon bush, but never has had lemons yet, do you know how I can get it to produce fruit? any comments will help. You used Maille, my very favourite mustard! Well, the mixture of lemon, capers, and mustard has been used on salmon, in the Pacific Northwest, forever. By what group? I've never heard of either capers or mustard being used with salmon except by Easterners, & my family's been here since Washington was part of Oregon Territory. 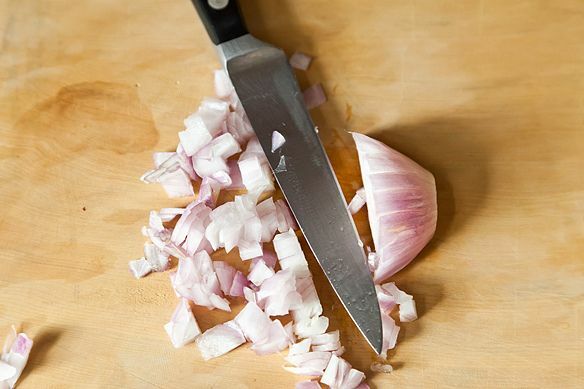 We use lemon juice or tartar sauce with both minced onion & dill or minced dill pickle soured up a bit with lemon juice. Just made this last night. All the flavors I love. Super delicious--as long as you are a lemon, mustard, caper fanatic, salt fanatic. I put this on my roasted asparagus, my pan seared chicken fillets and even on my mashed cauliflower. I suspect it just might be the ultimate sauce for a piece of fish. That's next on my list. 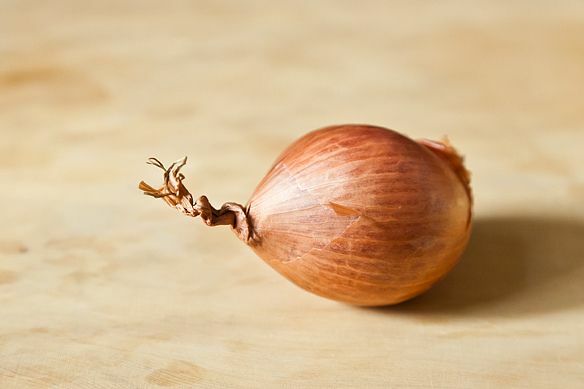 Um, so right now I'm having this on a salad. 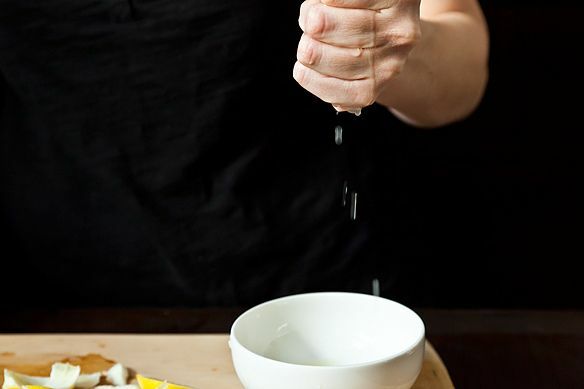 I've tried this recipe plenty of times before, but this time: Bacon Fat. That's right. No Olive Oil, BACON FAT. It is AMAZING! It's dressing raw Kale, thin sliced fennel, celery, carrots and croutons. Divine. I just made this to go with oven roasted wild salmon. I used green onions instead of capers and tarragon mustard. This is one of my favorite of your "genius" recipes! This dressing is fantastic on blanched asparagus spears. Lunch today, and it's making me enormously happy. This is so good! I knew I'd love it as I love capers and mustard, but it is so much better than I was even expecting! After getting square with the taxing authorities today, we are enjoying this with roasted vegetables (cauliflower, potatoes, red peppers), cheeses and a baguette. Delicious. Thought the combo of two lemons (juice and segments), djion, capers would make me pucker up. But perfectly balanced and it's criminal. Served over baked salmon. Genius is not overstating. Thanks for the keeper recipe. Reading this recipe made my mouth water. I'm using this on salmon tonight! Thanks for the inspiration. Kristen - this is the first time I've read one of your columns and your career choice wasn't dodgy at all - your writing is fantastic. 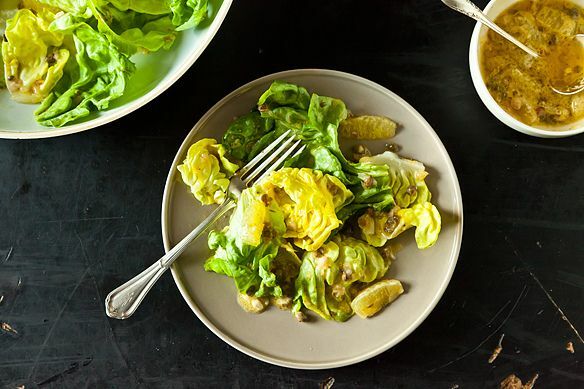 If anything can get me to try something this mustardy, your description of this dressing (& why it works) will be it! My taste buds are tingling, Kristen! I'm roasting broccoli right now and may just whip up a batch of this dressing to go alongside. Thank you for sharing another marvelous recipe! To save the recipe, just click on the link at the bottom of this post that says "See a slideshow and the full recipe (and save and print it) here." There's a "Save this recipe" button on the left side. Sorry for the confusion! Where's the button to save this recipe? We had this over romaine with radishes and avocados - my mouth is watering just thinking about it, so sad it's all gone :( Thanks for a great Genius of a recipe! 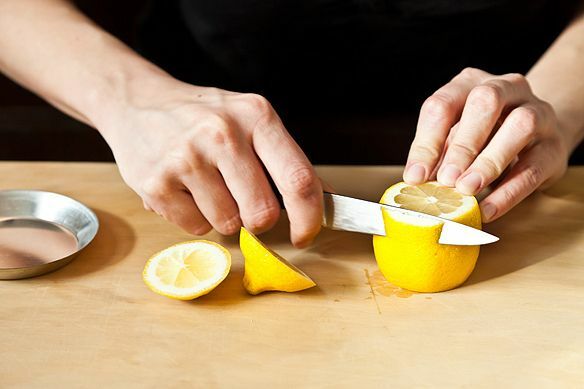 What did the lemon segments taste like? Just finished eating the salad i dressed with this dressing. Salty is an understatement! Next time I won't add additional salt besides what the capers and mustard contribute. Other than that, it's good, but not sure it qualifies as a genius recipe . . .
Just whipped this up for Easter dinner and couldn't wait that long, so I put a bit in a small bowl and I'm dipping raw veggies in it as I type. Mmmmmmm! Going to use the dressing on grilled asparagus tonight. 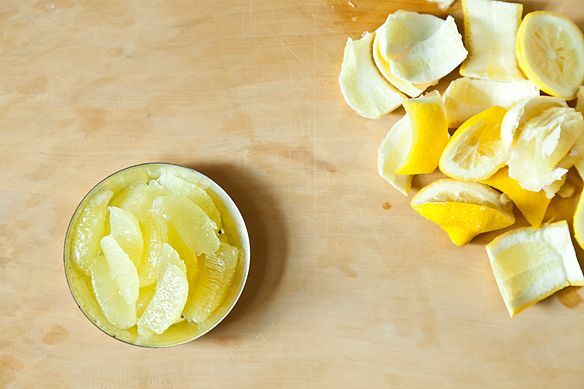 I made two changes: (1) used Meyer lemons since that's what I had and (2) like BrilliantKitchen, I couldn't just throw out all that potential deliciousness, so I zested the lemons before cutting peel off and added the zest to the dressing. Headed downstairs to make it for lunch today! Think I'll zest the lemon first so it won't get discarded with the rest of the peel... I think it will still section just fine. Yum.